These LED bulbs deliver mega lumens for cans in high ceilings. Most of the press covering LED bulbs is directed at Edison-style A19s designed for lamps and traditional fixtures. But the truth is that the modern home tends to be filled to the rafters with other types of light fixtures, the recessed canister chief among them. LED bulbs can be an iffy fit for canister environments. The problem: Cans are typically designed into high ceilings but are tasked with pumping out a ton of light. 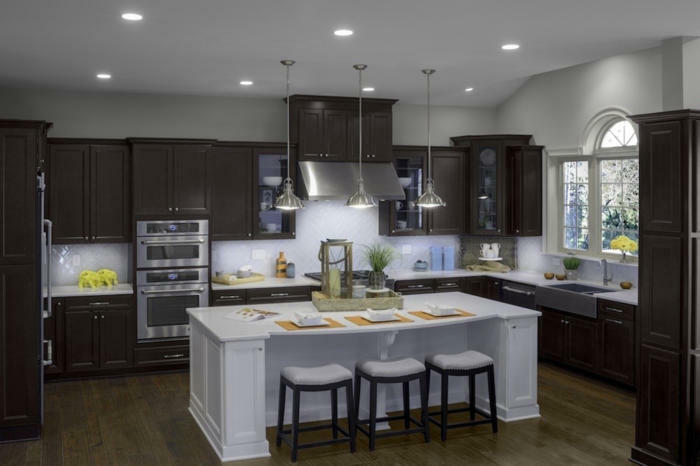 Because many LED bulbs are dimmer than a comparable incandescent or halogen bulb, that can leave you with a room that feels dark, even if all the lights are on. Result: Halogens remain popular in canister applications, despite their hefty power requirements. 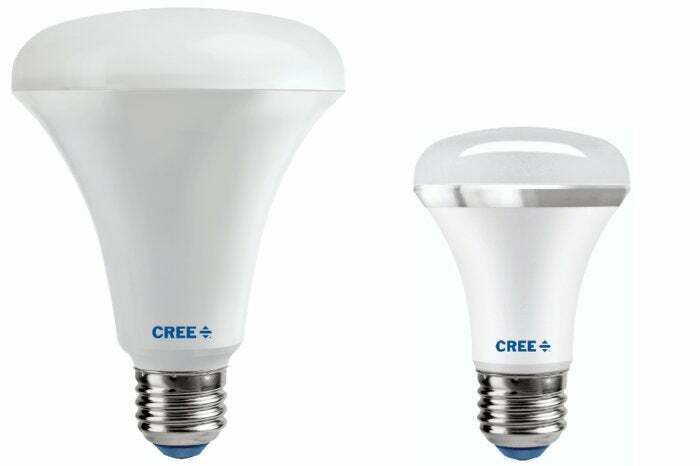 Cree takes aim at this issue with two new LED canister bulbs, a BR30 (3.75-inch diameter) bulb, and an R20 (2.5-inch diameter) bulb. 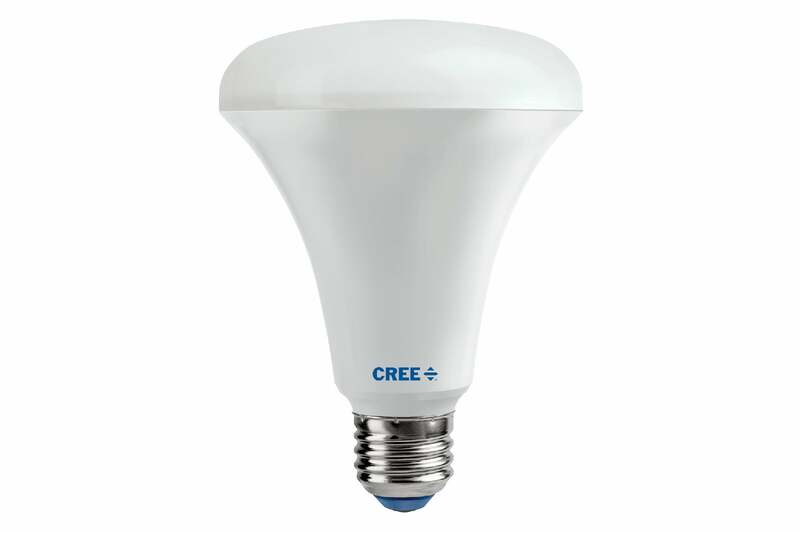 Cree says the BR30 is the brightest LED bulb of its kind on the market. We looked at both bulbs in an interior environment to see if that was the case. Recessed canister (can) lighting is prevalent in home architecture these days. 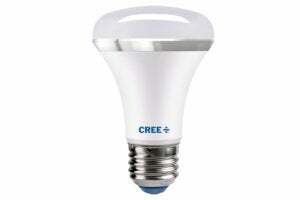 The Cree BR30 offers specs of a whopping 1500 lumens of brightness while using just 16.5 watts of power. Billed as a 100-watt equivalent, the bulb actually feels considerably brighter than that in regular use. Installed into a standard (8-foot) ceiling, it’s far too bright—blindingly so. Though “designed specifically for rooms with high ceilings and customers who simply want more light,” it’s the former who will want to check this bulb out. I just can’t see it working in a lower-height environment, unless you’ve lost all concern for your retinas. At a higher altitude, it really shines. This bruiser, at 1500 lumens, is the most powerful canister LED on the market today. The light quality, pegged at a perfectly warm 2700K, is even and pretty, just the right tone for most indoor applications. Dimming is smooth, with no buzzing noted. And from a physical standpoint, the bulb is sturdy and stout, with a design that feels like it will stand the test of time (which is important given the 22-year lifespan Cree claims). The diminutive Cree R20 is designed for smaller cans, the kind which are typically used as accent lighting. You can’t jam as many LEDs into a bulb this size, and as a result the R20 is rated as a 980-lumen bulb, with a 10.5-watt draw (a 75-watt equivalent). Like the BR30, it is locked at a color temperature of 2700K. This is a bulb that works well both in high-ceiling applications and lower-height ones, where its brightness isn’t blinding. Overall light quality is indistinguishable from the BR30 bulb, with a color temperature that I found worked perfectly in a bedroom environment. Smaller but just as beefy, this 2.5-inch bulb offers 980 lumens of lovely light. As with the BR30, dimming here presented no problem, and physically the bulb is quite sturdy, essentially presented as a miniature version of its big brother. Again, these are not smart bulbs nor are they tunable in any way, so if you’re considering them for a smart home environment you’ll need to go at them from the smart switch angle. (If you’re interested, an alternate version of the BR30 is available in a daylight color temperature and costs a dollar more.) The smart switch may not be a bad idea anyway, particularly if your bulbs are part of a group of canisters controlled by a single switch, which is typical in a home setting. Either way, for both bulbs, the price is definitely right, too. Designed for high ceilings, these BR30-size bulbs will brighten up just about anything with 1500 lumens of light, . For recessed accent lighting, Cree’s R20 is an outstanding option.